All of us at a certain point of our lives have gone through the ordeal of acne. For decades, dermatologists have been prescribing antibiotics to acne patients. Well, antibiotics are the first line of treatment when it comes to mild to severe acne. Across the US, more than 5 million prescriptions are provided each year for oral antibiotics that treat acne. We always believe our doctors think the best for us and hence, we take antibiotics assuming they are safe and without a second thought. There’s no doubt that antibiotics have proven to be effective in the reduction/treatment of acne. But recent research points out that oral antibiotics may not be the most efficient way to treating acne. Before we get into the complexities of the treatments for acne, let’s try to get an overview of what acne is and what causes the same. 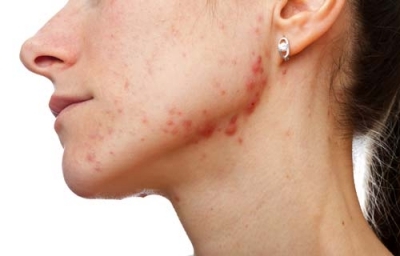 Acne is an inflammatory chronic skin condition. It results from blocked hair follicles. Oil, dirt, and dead skin cells on the surface of your skin contribute to clogging of the pores on the skin surface, and that leads to pimples or small, localized infections. Earlier, acne was presumed to be caused by overly active sebaceous oil ducts. But studies in recent years have shown that infection is the real impetus behind those angry red pimples popping out all across your face. Have you noticed a little bit of inflammation on your skin just before an acne pops up in the same spot? Propionibacterium acnes, the bacterium is the main cause behind the inflammation. Genetic factors, stress, diet, and hormones are also attributed to be the causes of acne. Treatment of inflammation on the face can help prevent pimples from developing more, and this is where the anti-inflammatory results of antibiotics come handy. For example, the tetracycline antibiotics such as minocycline and doxycycline can restrain the secretion of pro-inflammatory molecules. Antibiotics also help to hinder the overactive demolition causing enzymes. Demolition enzymes are the ones that work towards keeping your skin healthy. They do that by breaking down the old and dead skin cells to enable new skin cells to come up in their place. But when they get overactive, they cause damage to the oil and hair gland unit along with the surrounding internal features in your skin. The result is large, cystic, red acne lesions that can leave deep pitted scars. This is the reason why antibiotics have been the mainstay of acne treatment for decades. The antibiotics can be applied directly on your skin (topically) or taken by mouth (orally). Topical antibiotics work by killing the bacteria on your skin whereas oral antibiotics kill bacteria in the skin pores. Patients are prescribed the specific amount of antibiotic dosage that is higher than required. They are put on these antibiotics for a longer time than recommended. This has led to Propionibacterium acnes and other skin types of skin bacteria to develop resistance to antibiotics that are used for treating chronic acne. One of the examples is of antibiotic Erythromycin. 2-3 decades ago, this antibiotic was frequently used in the acne treatment procedure, but now, most of the concerned bacteria have become resistant to it, and the antibiotic has become completely ineffective. Currently, dermatologists are prescribing the tetracycline class of antibiotics which has not witnessed much resistance, yet. But how far are the days when the bacteria become resistant to these too? All antibiotics are prone to the risk of aiding in the creation of resistant strains of bacteria. But there are side effects beyond that. Oral antibiotics have been known to lead to gastrointestinal disorders such as diarrhea, nausea, stomach cramps, etc. and skin reactions. Considering the antibiotics prescribed, neurological problems and having a chemical, electrical, or any other response to light (photosensitivity) are also common. Discoloration of the skin, discoloration of teeth, and recurring outbreaks of acne are some of the less frequent side effects. As opposed to oral antibiotics, topical antibiotics have been found to show fewer side effects that can range from skin irritation to peeling. In case of attempting to become pregnant, while pregnant, or while breast feeding, neither oral nor topical antibiotics should be taken or used. It is recommended that the concerned physician should be consulted before indulging in these medications during such circumstances. If you are facing mild acne then, actually, you don’t need to visit a doctor or take medications. ”A few lifestyle changes can help you to get the desired smooth and clear skin.” Oil is one of the leading causes of acne and keeping your face clean, and your hair away from your face can contribute a lot towards controlling acne development. Do not pop the pimples with your hand, and drinking lots of water. While purchasing the skin products, look for the ones labeled “noncomedogenic.” This means that they will not clog your pores. Now the technical prescription changes. The purpose of providing antibiotics as acne treatment is not to kill the bacteria. The high-doses of antibiotics offered by dermatologists helps to clear the affected skin area of bacteria but it’s just an assist, not a win. The bacterium is only one stimulus and the reason for the inflammation caused prior to acne breakouts and treating the inflammation can help in great lengths to control acne. A very old and effective non-antibiotic topical medicine which is highly recommended for acne is benzoyl peroxide. It has a comparatively low strength of around 2.5% as compared to 8-10% on other topical medicine that is accessible at any drugstore. The medicine has the potential to kill the 99.99% bacteria on your skin, but since it’s not antibiotic, the bacteria cannot become more resistant to it. Benzoyl peroxide can also break down overgrowth of the skin that covers the pores, which otherwise can lead to dis-coloration of the concerned skin area and blemishes. Like they say – old is gold, isn’t it? Retinoids are another very effective anti-pimple drugs. It is derived from vitamin A, limit the clogged pores and has features that also inhibit inflammation. They are also proven to affect genes responsible in the production of the skin’s structural components such as elastin and collagen, contributing to a better skin appearance. 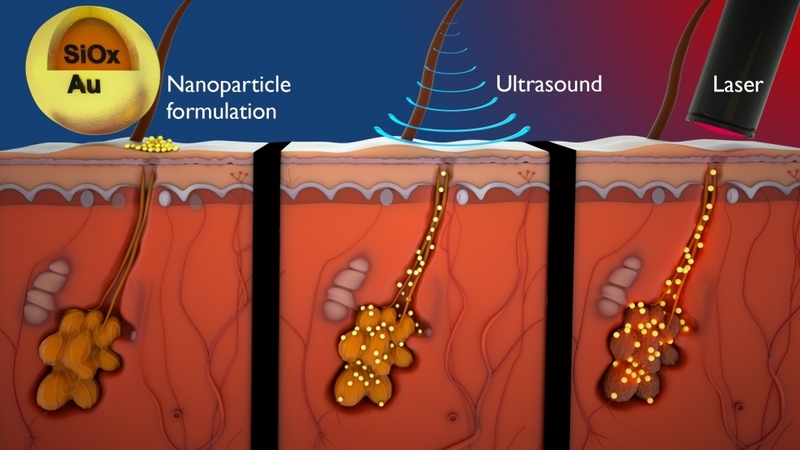 Nanotechnology can provide a safe passage for the delivery of nitric oxide gas to treat severe acne. Professors of George Washington University, with collaborators from the University of California and Albert Einstein Medicine College, have recently demonstrated that a nanoparticle is capable of generating a lower amount of nitric oxide gas over the time. It has the ability to hit all the pathologic elements responsible for developing the acne. If this treatment becomes successful, then acne treatment would become more effective and fast as compared to antibiotic treatment. Future developments in the treatment of acne would consist of utilizing the agents that can destroy the concerned bacteria but eliminate the risk of microbial resistance. There have been experiments done with antimicrobial synthetic peptides (chains of amino acids) that have the potential to kill the Propionibacterium acnes bacteria. Another revelation has been nitric oxide use that can kill the Propionibacterium acnes bacteria without any risk of bacteria developing any type of resistance. But the only limitation holding back treatment with nitric oxide is its delivery is very unstable in itself. But, there have been numerous innovations in the field of nanotechnology when it comes to acne treatment through nitric oxide. There’s no doubt that antibiotics will continue to play their role in the treatment of acne. But prescribing the right dosage is very important to eliminate other health risks for the patients. If you are prescribed antibiotics by your doctor for acne, ask her why she wants you to do this, and in case there are alternative options that can have the desired effect. 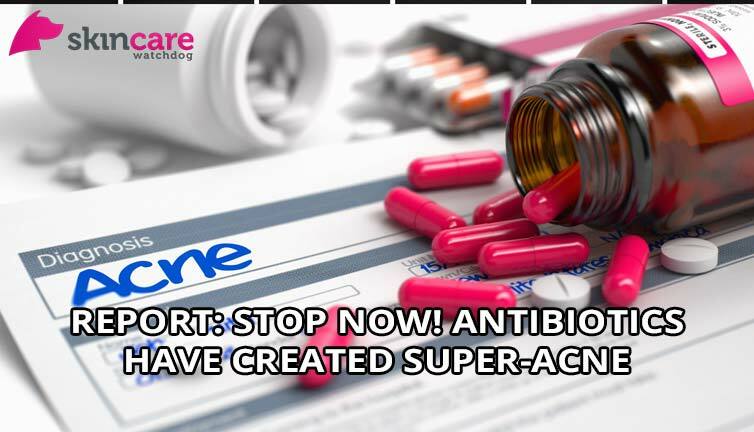 In case you have already started your antibiotic course, do not stop unless you speak with your doctor about it as this can make it more likely that you create resistant strains of bacteria that will stay with you for the rest of your life.